Evil Dead: The Series coming to YouTube! Ok, now don't get too excited. This is a fan made web series, not something made by the original creators of THE EVIL DEAD or anything made by a big studio. This is a small, low budget series made by fans of the film, for fans of the film. THE EVIL DEAD: THE SERIES looks to be more based on the recent remake than the original films, but who knows what could be in store. Right now, the pilot episode is the only one on YouTube. Give it a watch and let me know what you think. Better yet, leave a comment on the YouTube video and let the makers of this series know what you think. If you don't like it, rather than bash it on the comments, leave a comment with some constructive criticism for them. Let them know what you liked about it and what you didn't. It sounds like they will be taking the feedback and making it the best series they can! Check out the second trailer for Billy Pon's upcoming film, CIRCUS OF THE DEAD! Last week I did a post about the first trailer for director Billy Pon's upcoming film, CIRCUS OF THE DEAD. Well, now we have a second trailer to watch! 'Bloody Bill" has a released a NEW trailer that is very cool. It's a more artsy trailer than the first one, but really shows you the tone that this movie will have. CIRCUS OF THE DEAD will have it's world premiere at this year's TEXAS FRIGHTMARE WEEKEND in Dallas, TX May 2-4! I will be there to watch the premiere, so expect a full review upon my return! Until then, check out this second trailer and let me know what you think! Check out awesome website, 80sCards.com! A while back I told you about an indiegogo campaign for a new website called 80sCards.com. Well, they met their goal and the 80scards.com website it up and running!! While it's called 80sCards.com, the website actually sells movie card packs from the 1970's, 80's, and 90's! One of the indiegogo campaign perks was 3 free packs of cards with a contribution! I contributed and just got my free pack in the mail today! My free packs included the following: 1989 GHOSTBUSTERS II, 1987 A NIGHTMARE ON ELM STREET STICKERS, and 1992 HELLRAISER. These are some awesome cards, and you can buy any of these packs over at the 80sCards.com website! Other great card packs you can buy include packs of 1986 THE LITTLE SHOP OF HORROR, 1978 JAWS 2, 1979 ALIEN, 1983 JAWS 3-D, and 1984 GREMLINS just to name a few. Head on over to 80sCards.com right now and check them out! Also, for a limited time, use the special code 5OFFCARDS when you check out for 5% off your order! CLICK HERE to visit 80sCards.com!! The “Summer Camp” horror trilogy was one of the most popular movie franchises of the 1980s. However, the decade ended and so did director Julian Barrett’s career. Now Barrett plans to resurrect his gory series via a modern reboot patterned after reality filmmaking. With his former leading lady and an eclectic group of 10 young “contestants,” Barrett returns to the same locale where his old splatter-fests were filmed. When one of the campers is found savagely murdered, they discover there’s more at stake than just fame and fortune. Each of them is in a fight for their lives as they realize summer is over – forever. CAMP DREAD had some good moments. The film had some good kill scenes with some good gore. The main problem is the pacing of the film and the dialog. The film is very slow in parts, especially the first half of the film. The second half is better when all the killings start taking place, but the beginning and middle parts seemed to drag on. The script was good in terms of story line, but some of the dialog was just goofy and some was flat out dumb. I do have to give props to the ending though, as it had a nice plot twist when it was revealed why all the "kids" were really at the camp. There is not much else I can really say about this one. I was really excited for this film, and it was a let down for me. It was nice to see Felissa Rose back in a summer camp slasher flick for old time's sake, though! Also, while Danielle Harris is very prominent on the DVD cover, she makes a cameo appearance with a total of about 2- 3 minutes of screen time (that is my estimation, anyway). One of my pet peeves is when movies bill a certain actor or actress as a main actor, then you find out they are only in the film briefly. Well, as I always say, this is just my opinion of the film. Hopefully you all will like it better. Watch it if you get the chance and let me know what you think. 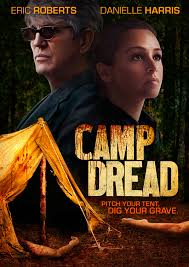 If you have already seen CAMP DREAD, leave a comment below and let me know what you thought of it. CAMP DREAD is available now on DVD. The first trailer for Eli Roth's upcoming cannibal film, THE GREEN INFERNO, is here!! A group of student activists travel from New York City to the Amazon to save a dying tribe. Unfortunately, they crash in the jungle and are taken hostage by the very natives they protected. Take a look at the trailer and let me know what you think. Hopefully we will have a full trailer soon that will show us more of the good stuff. Being such a fan of CANNIBAL HOLOCAUST, I am super excited about this film! 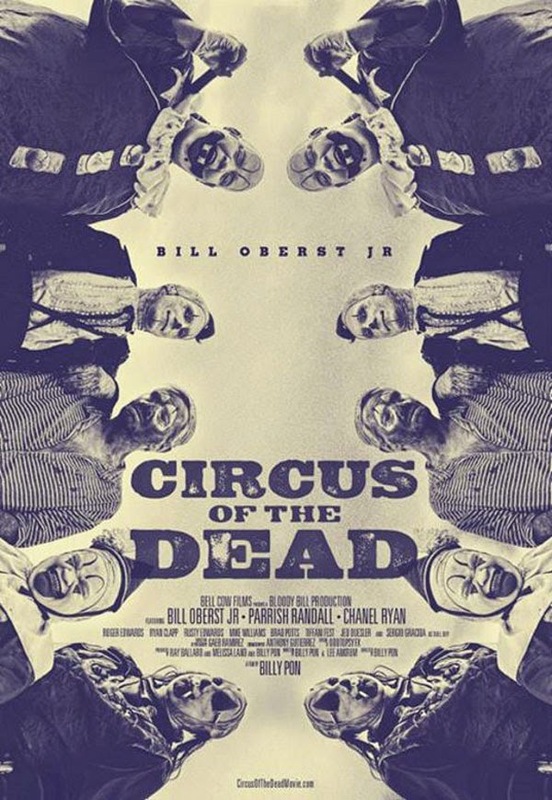 Check out the first trailer for Billy "Bloody Bill" Pon's upcoming film, CIRCUS OF THE DEAD! I have been looking forward to this film for a long time! Some of you might remember me mentioning CIRCUS OF THE DEAD back when I did my review of Billy Pon's short film, DOLL BOY (see review here). 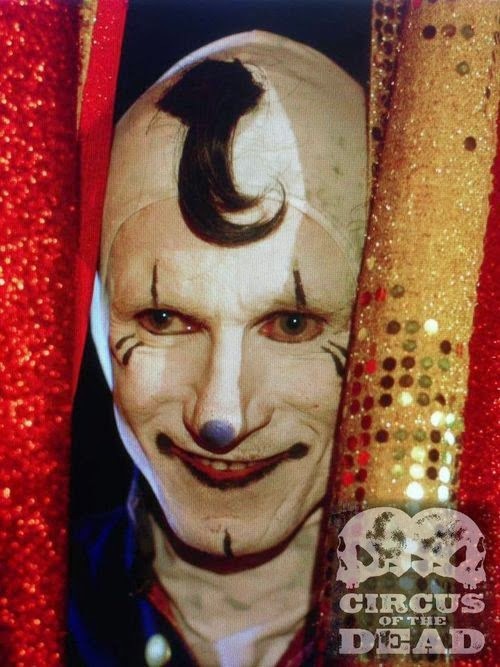 Doll Boy is a character that is in the full length feature, CIRCUS OF THE DEAD. Billy Pon is a fairly new name among horror fans, but soon he will be mentioned among the greats, in my opinion. You can tell "Bloody Bill" is a fan of the horror genre, and knows what us horror fans want to see in a horror film. I love the fact that he embraces the old grindhouse style of horror film. I have been eager to see a trailer for this film for a while now, and now we finally have our chance to see one! Fangoria.com has the exclusive first look at the trailer for CIRCUS OF THE DEAD! Family man Don’s visit to an old, rundown big top circus and chance encounter with a nihilistic group of clowns leaves him fighting for his life and the lives of those he loves. As Don becomes drawn deeper into lead clown Papa Corn’s games, he comes closer to the edge of reason and sanity. Armed with guns, knives and a ’68 Camaro, the clowns lead Don on an all-night crime spree through oil-soaked West Texas. Papa Corn’s wild ride brings blood, gore and mayhem to all he encounters. Check out the trailer and let me know what you think! CIRCUS OF THE DEAD will have it's world premiere at this years Texas Frightmare Weekend, May 2-4! CLICK HERE to ready the Fangoria.com article and watch the trailer! 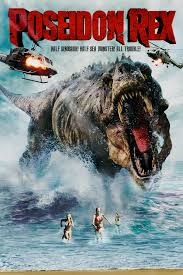 Check out the "looks so bad, it's good" trailer for POSEIDON REX! A small, secluded island off the coast of Belize suddenly finds itself terrorized by a deadly predator from the planet's distant past, when deep sea divers accidentally awaken an ancient evil. Jackson Slate and his team of underwater cave explorers unearth much more than long-lost Mayan treasure while plumbing the depths of a world famous blue hole. They disturb a creature that's been hibernating for over 60,000 years - a rampaging behemoth of death and destruction not only at sea but also on land. POSEIDON REX will be released onto DVD May 13th of this year. Check out the teaser trailer for the next PHANTASM film! I know this is old news now, but I hadn't posted anything on this yet, so figure I should before I completely forget about it! Fans of the PHANTASM films will be excited to hear that a fifth installment has been made! 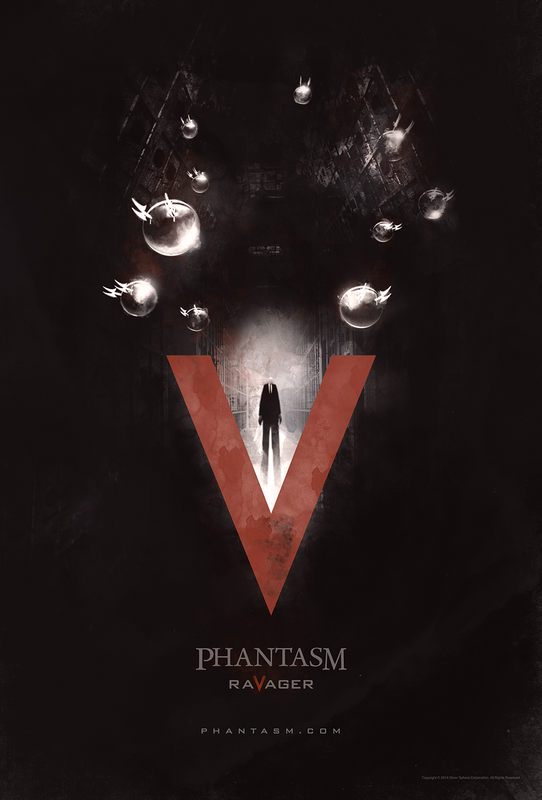 It's called PHANTASM V: RAVAGER, and yes, Angus Scrimm is back playing The Tall Man! There are no plot details yet, but in an interview with Entertainment Weekly, writer Don Coscarelli did mention that part of the film would take place on "The Tall Man's home world." Sounds like this could be a pretty interesting entry into the PHANTASM world! Click the link below to watch the trailer and let me know what you think! CLICK HERE to read the FearNet.com article and watch the trailer! 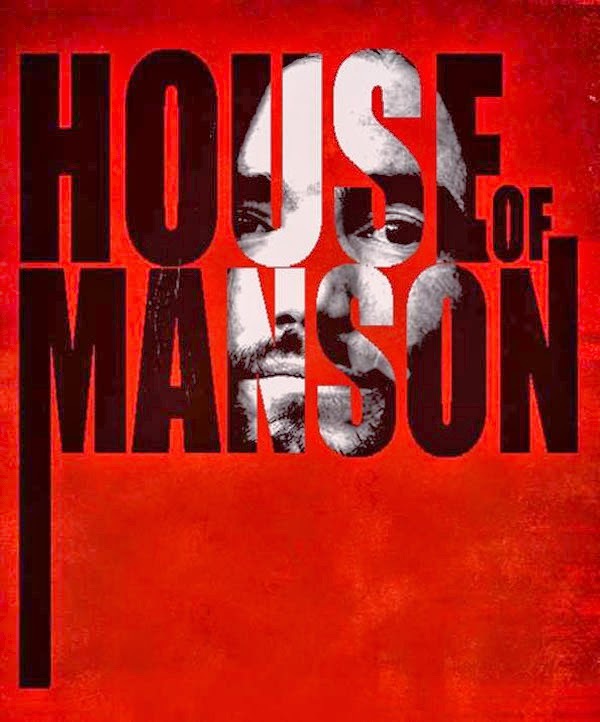 Check out the HOUSE OF MANSON trailer! House of Manson chronicles Charles Manson's life from his childhood up until his arrest following the raid on Barker Ranch months after the infamous Tate/LaBianca murders that sent a shockwave not just through Los Angeles, but through the entire world. The film was written and directed by Brandon Slagle, who was recently deemed the "go-to-gore-guy" by The Hollywood Reporter during their coverage of the European Film Market. While not a "gory" film, House of Manson is poised to take a more intense approach to the subject matter than previous film and TV iterations have. The film was produced by Britt Griffith, (co-star of Syfy's "Ghost Hunters"), who also produced Slagle's previous directorial effort, the dark creature feature Dead Sea, set for retail release in the United States and Canada in May. Actor Ryan Kiser (Truth or Dare) stars as Charles Manson, having previously played the role in the acclaimed short film "Lie." Rounding out the cast is Reid Warner (Oren Peli's Area 51) as Tex Watson, Chriss Anglin (Call of Duty: Black Ops) as Ronald Hughes, Devanny Pinn (The Black Dahlia Haunting) as Susan Atkins, Serena Lorien as Patricia Krenwinkel, Erin Marie Hogan (Paranormal Entity) as Linda Kasabian, Suzi Lorraine (Music and Lyrics) as Sharon Tate, and Tristan Risk (American Mary) as Abigail Folger as well as Julie Rose, Adrian Quihuis, Mel Turner ("Deadliest Warrior"), Jason McNeil, Ryan Cleary, Keith Kraft (Beowulf), Trish Cook (Dark Tide), Tawny Amber Young, Max Wasa, Darius Devontaye Green, and many more. Charles Manson has been a hot topic as of late due to the recent parole of family member Bruce Davis as well two upcoming television series - one from Rob Zombie and Bret Easton Ellis and the other from NBC, starring David Duchovney. Additionally, this year marks the 45th Anniversary of the Tate and LaBianca murders. House of Manson will debut later this year. Check out the teaser trailer and let me know what you think! I think actor Ryan Kiser's portrayal of Charles Manson looks super intense! A stylish supernatural shocker that has been a hit at film festivals around the world. Argentina’s Memory of the Dead boasts some terrifying FX setpieces bathed in a candy-colored visual palette that makes Mario Bava’s gothic classics look monochromatic by comparison. Following the sudden death of her husband, Alicia assembles all his friends at a vast country manor for a reading of his final letter. But Alicia also has other plans in mind – helping her husband return from the grave with a spell that will put all of the gathered guests in mortal danger. Scary, hysterical and packed with mind-boggling visuals, Memory of the Dead is the cinematic equivalent of a funhouse ride. I love the reference comparing this film to a funhouse ride. That is spot on as there is something different going on with each person in the house...a different surprise around every corner! There are some crazy death sequences in this film, and just some crazy visuals all throughout the film. One thing I noticed from the beginning was the excellent camera work. There are some very cool shots throughout the film, great camera angles and such. It's interesting that this film was compared to a Mario Bava film in the plot synopsis. I can totally see that, but I can also see influences from Dario Argento (use of color), and most of all, Sam Raimi and the EVIL DEAD films. There are a few scenes taken directly from the EVIL DEAD films, a nice homage for sure! Fans of gore will be thrilled by this film...there are some crazy gore effects in this film, some that truly made me cringe, and I don't get bothered by too much! 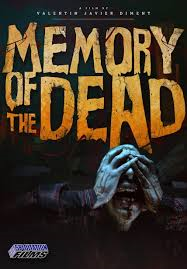 I highly suggest you check out MEMORY OF THE DEAD. 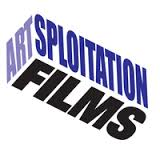 The DVD is available now from Artsploitation Films.